In a new blog post, software manufacturer Adobe announced that their service Adobe Stock has surpassed the mark of 50 million assets available through their services. 15 months after the acquisition of Fotolia and the continuing integration of their crowd sourced images library – now consisting of photos, illustrations, vector graphis and most recently including footage up to 4k resolution -, Adobe Stock has developed into a full service library for stock content, competing with the market leaders Shutterstock and Getty Images. The availability of 50 million files through their site and the integrated libraries in their Creative Cloud subscription offer, including Photoshop, Illustrator and Premiere software, is a major milestone in a race towards the top. Microstock market leader Shutterstock is closing in on 80 million assets but has seen struggles in delivering the same growth rates in revenue as they had in the past. Global market leader Getty Images most prominently competes with their iStock brand and site in the microstock market; in a recent press release iStock has claimed to have 25 million images available. Adobe Stock is now in volume in between those two major competitors which are seen as the big players in the market of user generated content for royalty free licensing. 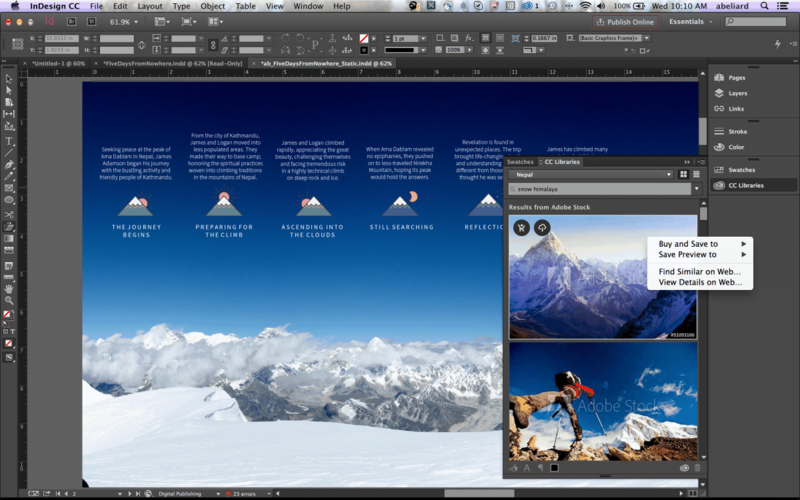 Adobe Stock, while also available through direct purchase on their website, is heavily integrated into the software platform and can be searched directly in the interfaces of the leading graphic design software such as Photoshop, Illustrator, Premiere or AfterEffects, which are all part of their subscription offer Creative Cloud. With the ability to sell license packages on top of the CC subscription, Adobe has an excellent outreach within the creative community. Thanks to the efforts of their tens of thousands of contributors from around the globe, the selection available through Adobe Stock reaches from icon sets to timelapse videos, and licensing is simple and straight forward with perpetual royalty free terms for a one-time payment. You can now sign up for Adobe stock free trial where you can get 10 stock photos for one month.